We looked at the top 9 Car GPS Navigation Systems and dug through the reviews from 42 of the most popular review sites including Consumer Reports, Top Ten Reviews, Trusted Reviews, New York Times Wirecutter, PC Magazine, Digital Trends and more. The result is a ranking of the best Car GPS Navigation Systems. Our experts reviewed the top 9 Car GPS Navigation Systems and also dug through the reviews from 42 of the most popular review sites including Consumer Reports, Top Ten Reviews, Trusted Reviews, New York Times Wirecutter, PC Magazine, Digital Trends and more. The result is a ranking of the best of the best Car GPS Navigation Systems. Our top pick for navigation systems is the Garmin DriveSmart 51 GPS, which offers the most intuitive interface and smartest route options around. Its 5-inch, multi-touch display is compact yet still easy to read and simple to use. This handy model also offers Bluetooth calling, voice-activated navigation and smart notifications. DWYM Electronics Experts plus New York Times Wirecutter, Tech Radar. Along with user reviews from Amazon, Walmart, Best Buy, Target and Home Depot. "The best guidance, most intuitive interface, and best voice control system, with Wi-Fi updating and a multi-touch display." "Outdated interface. Robotic voice. Expensive. Doesn’t always take the best route"
The Nuvi's larger display, accurate traffic predictions and emergency service locations make it a solid choice. Additional safety features, like Bluetooth hands-free calling and lane assistance, prevent distracted driving and help you safely enter and exit freeways. DWYM Electronics Experts plus Consumer Reports, Top Ten Reviews, BestReviews. Along with user reviews from Amazon, Walmart, Best Buy and Target. "Bluetooth hands-free calling enables telephone calls using the unit's internal speaker, microphone, and screen. Lane assistance indicates the appropriate lane for the next maneuver. Location help aids in finding the nearest emergency services. USB cable included. ..."
"There is no Bluetooth option available on this GPS." TomTom hits a home run with this GPS system, which is especially useful for international travelers, thanks to lifetime European map updates. Compatibility with Siri and Google Now make this model one of the easiest ones to use via voice commands. DWYM Electronics Experts plus Consumer Reports, Trusted Reviews, Top Ten Reviews, New York Times Wirecutter. Along with user reviews from Amazon and Walmart. "Bluetooth hands-free calling enables telephone calls using the unit's internal speaker, microphone, and screen. A pedestrian mode provides appropriate route guidance and travel time for walkers. Lane assistance indicates the appropriate lane for the next maneuver. USB..."
"Traffic updates require smartphone tethering. LIVE services only include traffic and speed camera updates"
This budget-friendly pick doesn't skimp on additional features, like restaurant reviews, nearby gas prices and weather updates. While it lacks some high-end attributes, like voice commands and pedestrian modes, it's still a reliable unit. DWYM Electronics Experts plus Consumer Reports, Top Ten Reviews. Along with user reviews from Amazon and Best Buy. "Bluetooth hands-free calling enables telephone calls using the unit's internal speaker, microphone, and screen. Lane assistance indicates the appropriate lane for the next maneuver. Location help aids in finding the nearest emergency services. A connected device, this..."
"It lacks voice-recognition software, so you’ll have to type in information manually." We identified the majority of the car gps navigation systems available to purchase. 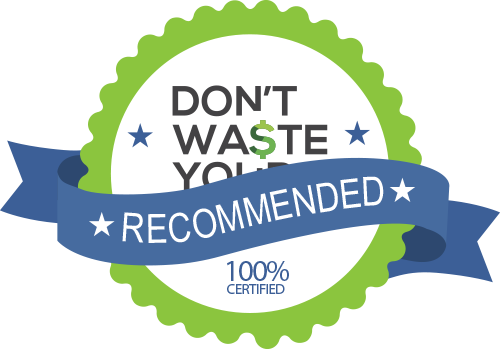 Reviews from our DWYM category experts and analysis of some of the most respected sources including: Consumer Reports, Top Ten Reviews, Trusted Reviews, New York Times Wirecutter, PC Magazine. We also incorporate user reviews from the leading retailers including Amazon, Walmart, Best Buy, Target, Home Depot. The DriveSmart 51 costs more than basic models, but we’ve found its advantages to be worth the money. It uses a connection with your smartphone to post restaurant reviews, gas prices, weather updates and more directly on the screen. It lacks voice-recognition software, so you’ll have to type in information manually. If you were born in the 1980s or earlier, you probably remember consulting large maps or printing out Mapquest directions to help guide you to the best route while you drove. Luckily, technology has surpassed the benchmark of printouts taped to your dashboard. GPS, or global positioning systems, used to be so expensive and high-tech that they were only practical for military use. Over the past decade, they’ve become must-haves for anyone who drives long distances, needs traffic updates to find the quickest route to point B or gets lost frequently. There are plenty of navigation programs available on your smartphone, but they’ve got their own set of caveats. The smaller screen makes it harder to see your route, the programs eat up data and battery life on longer trips and interruptions from calls, texts or other alerts can disrupt your trip. A dedicated GPS system is a smarter, safer option, but picking the right one for you can be confusing if you don’t know what to look for. Car GPS systems work by communicating with 24 satellites orbiting 12,000 miles above the earth. The navigation system acts as a receiver, and the information from the satellite pinpoints your location, your destination and the quickest route along the way. Some systems, like the Garmin DriveSmart 51, are interconnected with sources of traffic information. This helps you work with live traffic and parking updates, avoiding rush-hour bottlenecks or accident-related slowdowns. If you miss a turn, your car’s GPS can quickly update your route to get you back on track. Each GPS system typically lets you choose between the shortest route, fastest route and toll-free routes, too. Add-on GPS systems rely on different methods to stay charged. Some of them plug into your car’s cigarette lighter to power up, while others have impressive battery lives for hours of wireless driving. Taking stock of how long your GPS accessory can go without a charge is a consideration you’ll want to make before plunking down your hard-earned cash. Although newer cars frequently have built-in GPS, you can get the same quality directions from add-on GPS systems. They range in price from about $200, like the TomTom GO 520 system, to upwards of $500, like the Garmin Nuvi. Picking from those price ranges depends on what features are most important to you. Some drivers want a larger screen while others want effortless compatibility with their smartphone’s apps. Some models, like the Garmin DriveSmart 60, have features like driver alerts for sharp corners, red light cameras and traffic jams, while picks like the TomTom GO 520 are compatible with Siri and Google Now for simple control with voice commands. The TomTom also reads your text messages out loud for safer, hands-free texting. Our top four picks all connect to your smartphone via Bluetooth, reducing the number of cords in your car. Free lifetime map upgrades for all of North America come standard with the Garmin Nuvi, and connecting your Garmin Drive Smart 51 with a Garmin smartwatch offers even more navigation options when you’re walking or biking. Once you’ve weighed the pros and cons of each navigation system model, you’ll be ready to hit the road without getting lost, burning through your smartphone’s data or asking strangers for directions. You can thank Mickey Mouse for the first in-car GPS system. In the early 1990s, government agencies, the American Automobile Association, and GM’S now-shuttered Oldsmobile division convened to create the TravTek. The system was only available in a fleet of one hundred Oldsmobile rental cars in the Orlando area. TravTek’s creators thought that the device would be useful for helping Orlando’s massive tourist population find their way to theme parks and other attractions. The built-in display had a full-color touch screen, and it offered voice directions and 24-hour assistance via a built-in car phone. Instead of relying on direct satellite positioning, the TravTek used wheel sensors and a magnetic compass to beam positioning information to satellites. It was far less accurate than today’s models, but Oldsmobile upgraded the device in 1995 and called it the GuideStar. The GuideStar was a hard-disk based system that offered true satellite navigation in 17 lucky states. There were no live traffic updates, but the GuideStar’s design was closer to today’s GPS systems. It was mounted to a post on the center console instead of being built into the vehicle’s head unit. You could pick up a GuideStar for a whopping $2,000 (the equivalent of $3,274 by today’s standards). Extra map cartridges would set you back an additional $400 apiece, making today’s prices for GPS systems look like chump change. What size screen do you need for your GPS unit? Screens range from 4.5 inches wide, like on the Garmin DriveSmart 51, to a seven-inch pinch-to-zoom display on the Garmin Nuvi. If you have thick glasses or plan on doing a lot of night driving, a larger display might be the smarter pick. How frequently will you use your GPS unit? If you’re driving long distances on a regular basis, it might be worth it to spend a little more on a unit with more features. The TomTom GO is about $200 with a five-inch screen, while Garmin’s feature-packed Nuvi pushes the $500 mark. What type of compatibility will you need with your navigation system? Garmin’s DriveSmart 51 has a USB mass-storage option that melds with Windows XP and Mac OS X 10.4 or later for adding your own apps and programs, whereas the Nuvi comes with apps like Foursquare built in to help you find stellar restaurants and tourist spots on road trips. How many extra features are you looking for? Several navigation systems offer different voice options and even accents — if you get tired of a robotic Midwestern voice, you can switch things up with an Aussie accent or an Irish lilt. WiFi updates are important, too. The TomTom GO 520 provides the latest maps and software via WiFi, and you don’t need to be on a network to access the most recent updates. Make sure that you stay up to speed on software updates with your GPS system. You can download new maps, updated traffic directions and upgraded features on each of our top four models for free. If major construction begins in your area, you’ll want to make sure you’ve upgraded to avoid traffic. Navigation systems are also great for leadfoot drivers. All of our recommended Garmin and TomTom systems take note of your current road’s speed limit, helping you avoid tickets and drive more safely. To get your nav system running at the fullest possible capacity, you’ll need some accessories to make the most of your investment. A friction mount for your dashboard will keep your navigation system securely in place during quick trips and longer drives. The Garmin DriveSmart 60 requires an additional digital traffic cable to enable its Live Traffic features, which include landmark-based directions and real-time weather updates. Choose where you mount your GPS system carefully. The major benefit to using a standalone GPS system is the larger screen, but you won’t notice the full effects if you don’t place your unit in your line of sight. However, attaching your device to your windshield is illegal in 28 states (even if your navigation system comes with a windshield mount). Other states have strict requirements regarding how many inches are allowed between your windshield-mounted device and your line of vision. Make sure you check out your state’s distracted driving laws before you install your device. If you want an even clearer view of the road ahead, investing in a heads-up display is a smart move that won’t violate any state laws about windshield mounts. These auto accessories beam your GPS map, directions, and speed onto your windshield. They’re transparent, so they won’t block your view of the road, and you won’t be shifting your eyes back and forth between your GPS and the street while you’re driving. Once you’ve chosen an add-on GPS system for your car, you’ll need to take some extra steps to care for it. Investing in a case and a screen cover is the first step to protecting your investment, but you’ll have other considerations to make too. If you’ve stopped to park, you’ll want to lock your navigation system (and any telltale accessories) into your center console or glove compartment. Navigation systems aren’t cheap, and leaving pricey electronics out can make your car a target for a break-in. However, you won’t want to leave your GPS in your car for long in very hot or very cold weather. Extreme temperatures can damage the battery and navigation system, rendering it glitchy, slow or entirely useless. Bringing your Garmin or TomTom with you in your bag or briefcase when you go indoors can help protect it during humid summers and frosty winters. For the Car GPS Navigation System category, we analyzed 42 of the most popular reviews including reviews from Consumer Reports, Top Ten Reviews, Trusted Reviews, New York Times Wirecutter, PC Magazine, Digital Trends and more. The result is a ranking of the best Car GPS Navigation Systems.